People ask me all the time what kind of camera I use. For years, I used the medium format Contax camera with a Leaf Aptus 75 digital back and have loved it. Unfortunately, this camera was discontinued almost ten years ago. I have tried many other cameras, but nearly all of them have failed to meet my needs and expectations. That is until I first picked up a prototype of a new medium format Leica two years ago. You know that feeling when you first sit in a brand new, expensive, luxury car? Well, this camera is a Rolls Royce. I've been testing the Leica S2 since the fall, and have decided to purchase the camera in January. I really love this camera, and in my opinion, it is one of the best ever made. It is so important to have excellent equipment at your disposal. Replacing inexpensive equipment can often cost as much as maintaining something of higher quality. I don't often make an investment like this, but since I've been looking for a camera to suit my needs for years, I was able to justify the price tag. Even novice photographers should shop around for high quality products (while still expensive, the Leica point and shoot model is also excellent). Leica makes terrific cameras - and they may be the last you ever own. I'm excited to get my hands on my own come January. Developed exclusively for digital photography without any compromises. With the size and handling of a 35 mm camera, its performance and quality set new standards for medium-format photography. 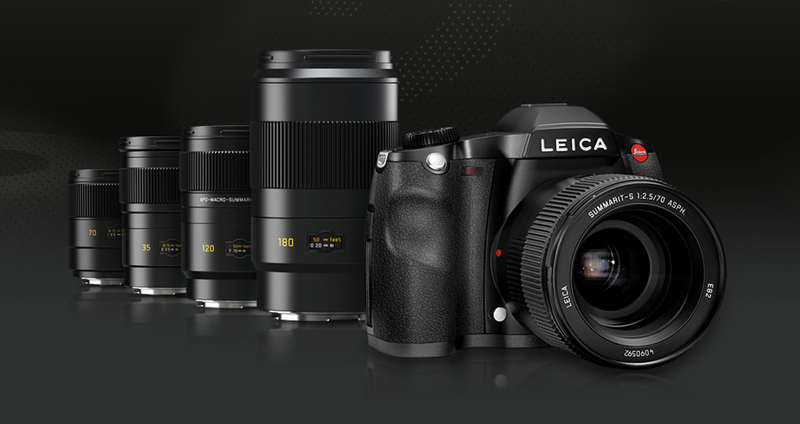 The complete Leica S-System was developed together with professional photographers – with the goal of offering high quality pictures and effortless operation and handling. 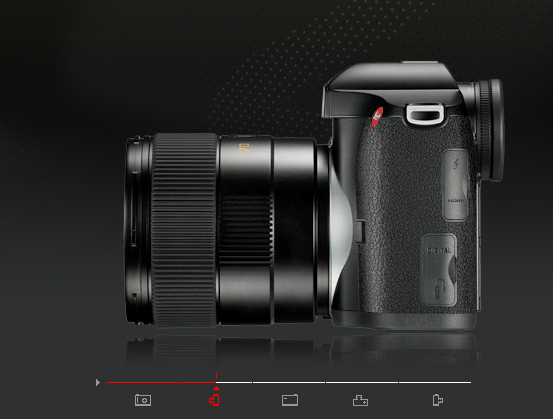 The entire system is based on a totally new image sensor in Leica S-Format, 30 x 45 mm in size and the classic Leica aspect ratio of 3 to 2. The large area and integrated design afford optimal picture quality. With 37.5 million pixels, cropping is never a problem, even for large-format prints. The camera is the perfect instrument; the photographer can now focus on taking pictures rather than on the technology. 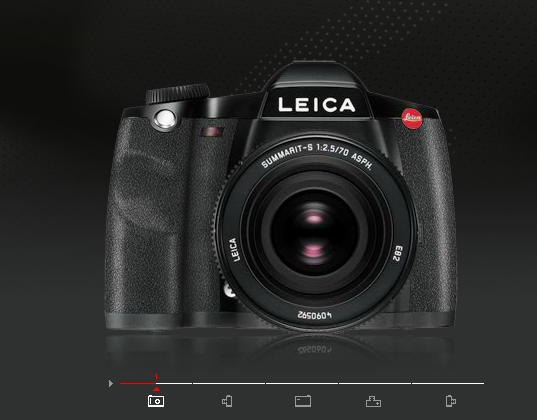 The LEICA S2 components are the very best quality and finely tuned to one another, producing the perfect picture that is naturally sharp and does not require digital correction. The S-lenses combine the legendary Leica quality with state-of-the-art technology. Decades of expertise acquired by developers, the selection of the highest quality glass and precise manufacturing with extremely fine tolerances distinguishes Leica from other professional lenses. 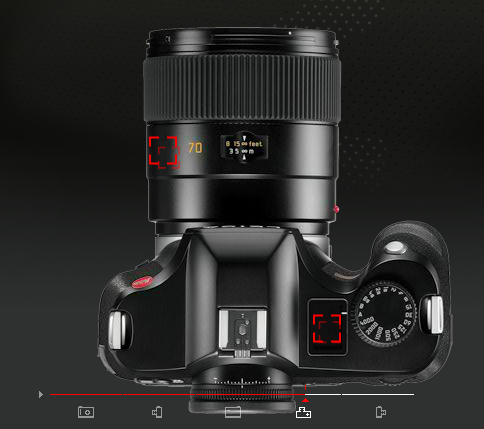 For the first time in a camera larger than 35 mm format, aspherical lens surfaces are being employed along the entire range of lenses for the highest possible imaging performance. All S-lenses come with an effective large lens hood which is slotted onto the accessories mount during transport, saving space. 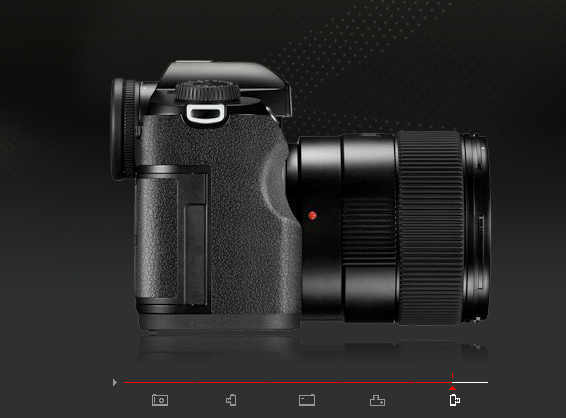 The most important focal lengths in the S-System are optionally available with or without the new Leica central shutter. The central shutter employs powerful springs as energy accumulators and through its patent-pending, innovative design can attain shutter times of up to 1/500 of a second that are also fully synchronized for flash. This standard lens, available with or without a central shutter, gives priority to top imaging performance for all applications. In addition to an aspherical surface, special glass with anomalous partial dispersion or high refractive power is used. Focusing combined with a floating element provides consistent high contrast performance through the entire working range, from close-up to infinity. Apochromatically correct macro lens for close-ups with a reproduction ratio of 1 to 2 – also available with central shutter. The large aperture and short telephoto focal length make the camera also ideal for portraits and other applications over the entire range. The nine lens elements are manufactured partly from special glass with anomalous partial dispersion and high refractive power; a floating element ensures unmatched performance from infinity to extreme close-ups. I will be purchasing my Leica S2 from Foto Care, based in New York City.